One of the jobs I do most is fret work! This process is crucial in achieving all note intonation and clarity. What do your frets looks like? 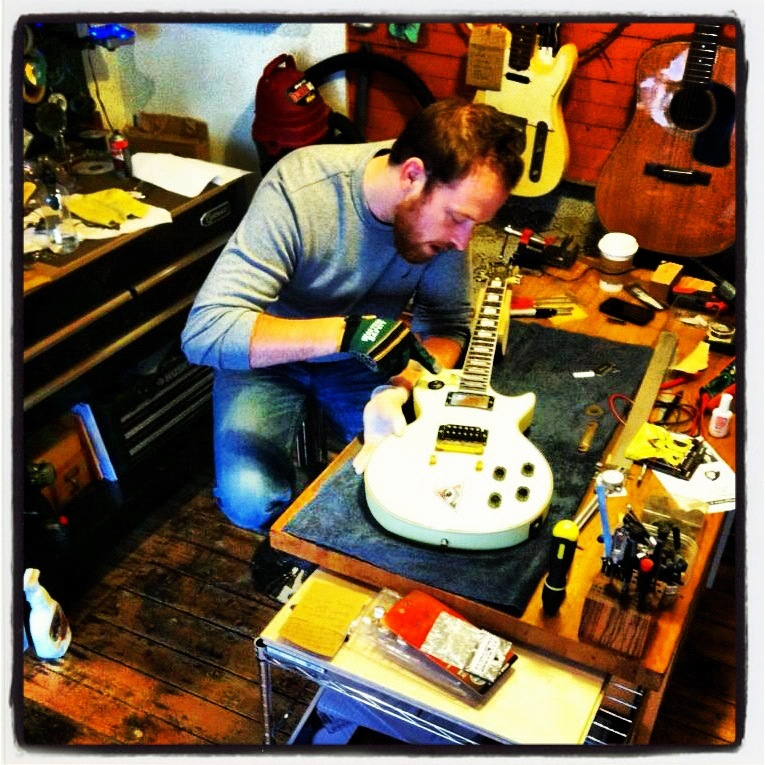 Guitarley’s, located in Williamsport, PA specializes in stringed instrument repair and maintenance. Hobbyists and professionals alike are welcome to call or visit for a free evaluation or consultation. Owner Sean Farley opened Guitarley’s in the spring of 2011 and is a certified luthier and a graduate of the prestigious Roberto-Venn School of Luthiery in Phoenix, AZ. Meticulous care is taken during the consultation phase to make the customer aware or any issues with their instrument(s) and how to resolve those issues effectively and affordably. Whether it’s action that causes poor playability, problems with electronics, a neck that has been broken in two, or even a simple broken string, Guitarley’s is ready to counsel and remedy your issue. Guitarley’s also specializes in beautifully handcrafted, custom, one-of-a-kind guitars. Custom built guitars are being constructed on an “as time permits” basis. Please be aware of lengthy construction times when considering a custom built guitar. We will fabricate a instrument which fits your personal style, look, and physical specifications. We guarantee a custom guitar built by Sean will play better than any guitar you’ve ever owned, and make people say “wow, what kind of guitar is that! ?” Grab a guitar, come down and talk about how Guitarley’s can meet your needs. And maybe even jam a song or two with the owner! 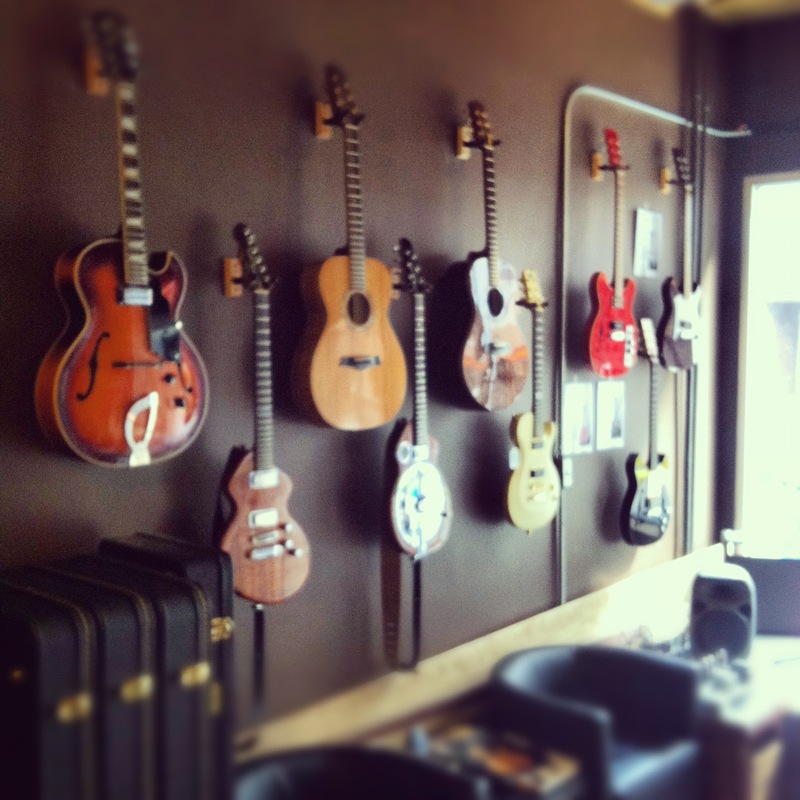 We usually carry a variety of guitars for sale. I try to stick to boutiques built by other luthiers like me or high quality vintage guitars, but I often get some budget friendly guitars and fix them up. Come check out my selection and try one out! Sean, do you give guitar appraisals? I have a 1958 Les Paul Jr., 1981 Rick 320?, and 1983 Rick 4003. I’m not sure I could “officially” appraise your guitars to the point of insurance values and such. I would suggest looking up on line for someone who is legally allowed to do that. You can certainly get an idea of their value by looking up comparable conditioned/models online on places like eBay. They really give you the feel for “market” value. P.S. they sound like sweet guitars! Hey Sean. My name is Sharon Ippolito…my husband Anthony and I have been in your shop and have so enjoyed chatting with you about your work…it’s amazing! Anthony would really love to get back into playing guitar and I was wondering if you could recommend a good instructor?